POLICE PROMOTION Mt. 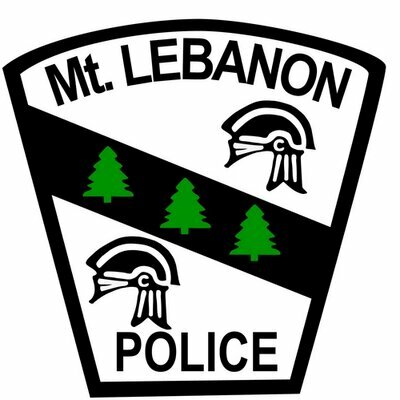 Lebanon police promoted three corporals to lieutenant: Lt. Mike Smakosz, Lt. Josh Chops and Lt. Dan Stover will take over responsibilities of lieutenants Tom White, Mike Welsh, John Remark and Duane Fisher, all of whom retired from the department in recent months. Cpl. Mike Belak also retired this fall. 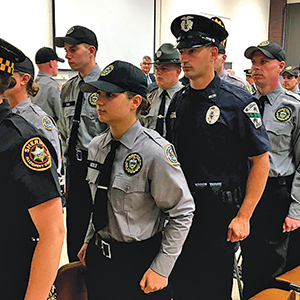 Police recently tested for new officers and those hires are expected to be in place by early next year. PACKAGE PROTECTION Ruin a thief’s Christmas by having any holiday packages delivered to your workplace, or to an address where someone is home to receive them and they don’t sit on your porch. If that’s not possible, try to arrange for a neighbor to check for them. NEW FIREFIGHTER Lee McCarthy is the newest career firefighter in Mt. Lebanon. He is a 2006 graduate of Carnegie Mellon University with a degree in civil engineering. He also holds a masters in fire protection engineering from the University of Maryland. McCarthy was a volunteer firefighter in Ingomar Township and Hyattsville, Maryland. For two years, he worked for the National Institute of Science and Technology, conducting research on the effectiveness of fire ground operations. He also worked for the United States Bureau of Alcohol, Tobacco and Firearms. DITCH THE DRIVING Sometimes the best driving tip is this: Consider not driving at all. With the availability of rideshare programs such as Lyft and Uber, and the number of holiday parties that include alcohol, there’s no reason to drive after drinking. Even though the services charge for the ride, it’s always going to be cheaper than the estimated $10,000 in legal costs for a first-time DUI. AMBULANCE REBOOT When you get a new car, you usually sell or trade in the old one to save money on the new one. But what if you could use parts of the old car to save big bucks on the purchase while also being environmentally responsible? That’s what Medical Rescue Team South Authority is doing with four of its ambulances. The process, known as “remounting,” involves removing the patient care portion, called the “box,” and remounting it on a new chassis. The box gets a complete upgrade, including bodywork, new cabinet latches, hinges, door gaskets and a new electrical system, new flooring, lighting and a new paint job. 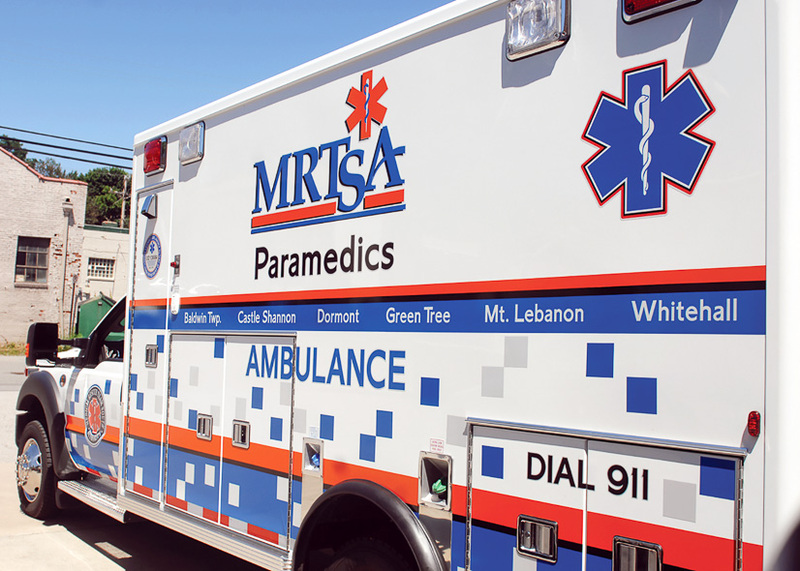 It costs MRTSA $161,000 for each remounted ambulance, a savings of about $50,000 on each compared to buying new. For several of these ambulances, it’s the second time they are being remounted. MEDICAL RESCUE MEMBERSHIP A $75 Medical Rescue Team South Authority household membership could save you major cash if you need their services. An annual fee of $47 per individual and $75 per household covers any co-pay, deductible or balance related to ambulance billing. A household subscription covers anyone who needs an ambulance while residing in or visiting your house. You can also purchase a business subscription for $70, plus $5 for each employee. If you did not receive a membership packet in the mail, visit www.mrtsa.com and join online or call 412-343-5111. Membership is good from January 1 through December 31, 2019. DRUG DROP Twice a year, in April and October, the Drug Enforcement Agency sponsors a Drug Take Back Day, where people can bring their expired or unwanted prescription medications for disposal. Around here, with two round-the-clock drug dropboxes, every day is Drug Take Back Day. Take your meds to the lower level of the Mt. Lebanon Public Safety Building, 555 Washington Road, or to Medical Rescue Team South Authority headquarters, 315 Cypress Avenue. Mt. Lebanon police will empty and incinerate the contents of both boxes. Do not put in needles of any kind, including EpiPens. You can drop off needles and other sharp medical equipment at St. Clair Hospital, 1000 Bower Hill Road, at the first-floor environmental support services office. Sharps must be placed in a sharps container or other heavy-duty container (coffee can, laundry detergent bottle, etc. ), sealed and secured with tape. Sharps containers are available at the hospital. For additional locations that accept needles for disposal, visit www.safeneedledisposal.org. To learn more about Mt. 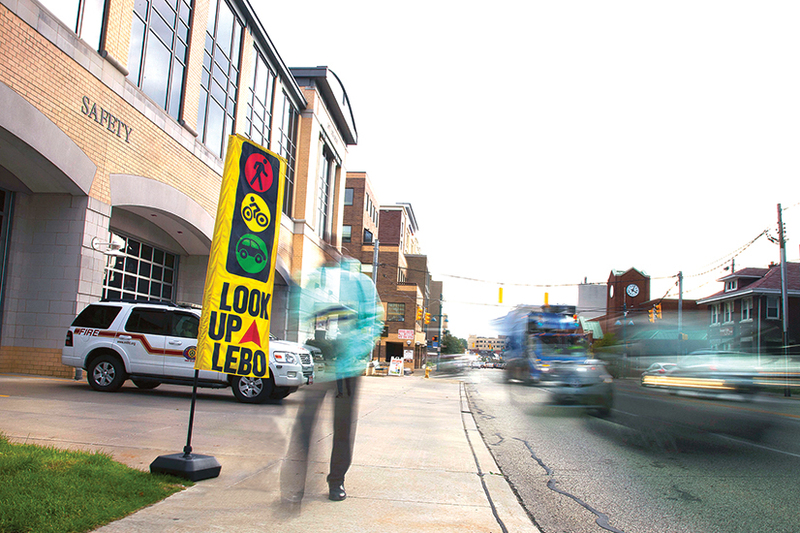 Lebanon’s efforts to combat prescription drug abuse, visit SAFE Lebo. 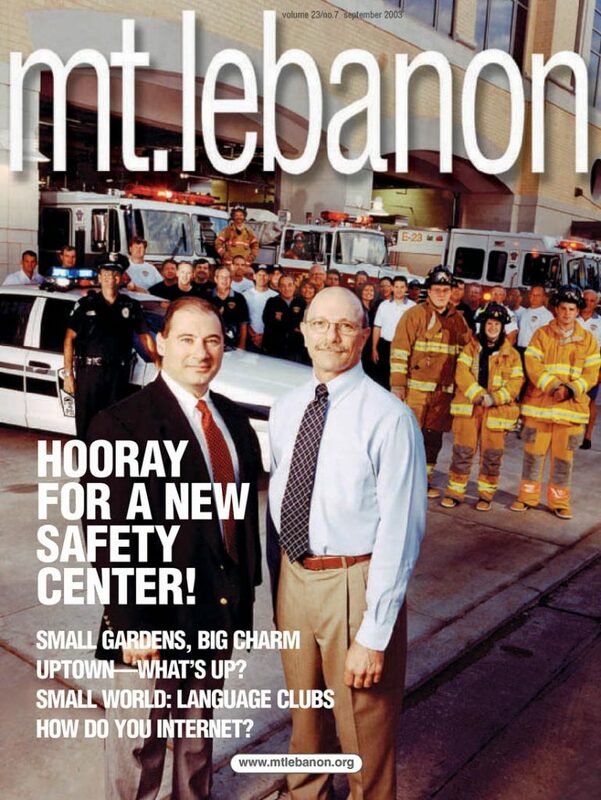 Then-police chief Tom Ogden and fire chief Steve Darcangelo at the Public Safety Center opening in 2003. Mt. Lebanon Fire Department is celebrating its centennial this year. In tribute, each month, we’re offering a glimpse of local firefighting through the decades, featuring pictures and information from the municipal archives. 2003 The fire and police departments move into a new Public Safety Center at 555 Washington Road. 2005 Fire chief Steve Darcangelo retires and is succeeded by Nick Sohyda. 2008 Mt. 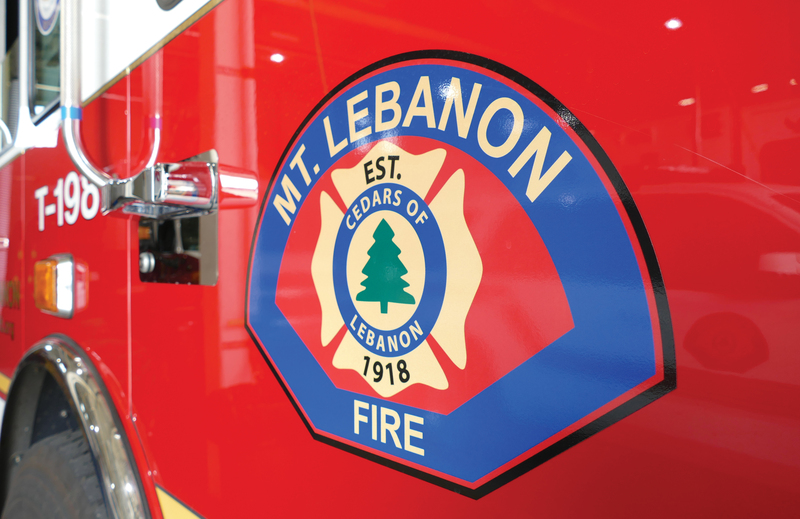 Lebanon Fire Department takes the lead in helping to form a technical rescue team with other fire departments in the South Hills Area Council of Governments area. 2013 Mt. 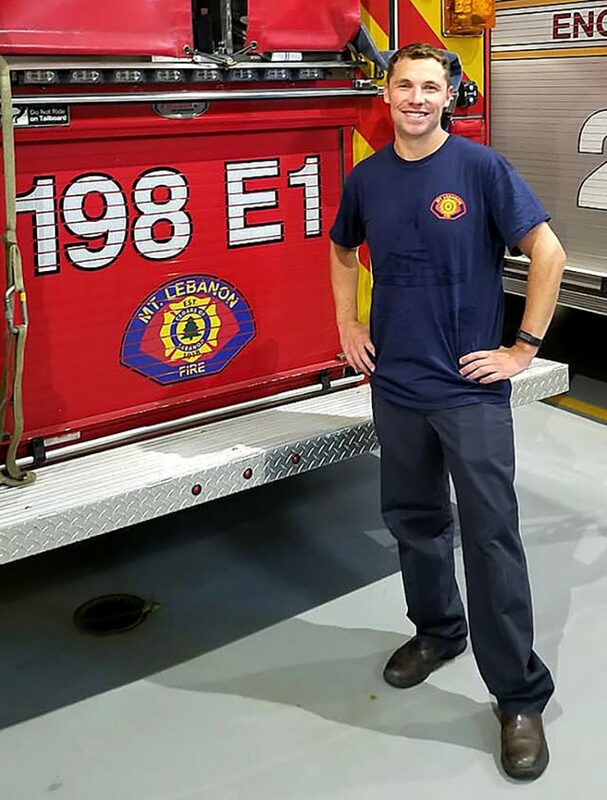 Lebanon becomes only the second fire department in Pennsylvania to receive a Class 1 designation from the Insurance Service Office, a rating service used by most insurance companies to determine the cost of policies. The designation, good for five years, was secured again this year. 2018 The Mt. Lebanon Fire Department celebrates 100 years of service. An exhibit chronicling the department’s history is on display at the Historical Society of Mount Lebanon at the corner of Washington Road and Lebanon Avenue.